17/12/2013 – Client drinks? Nah, here’s an orangeman. After work we headed into Chelsea to have some client drinks. It was a really fun night! Why don’t you agree by looking at this really exciting photo? 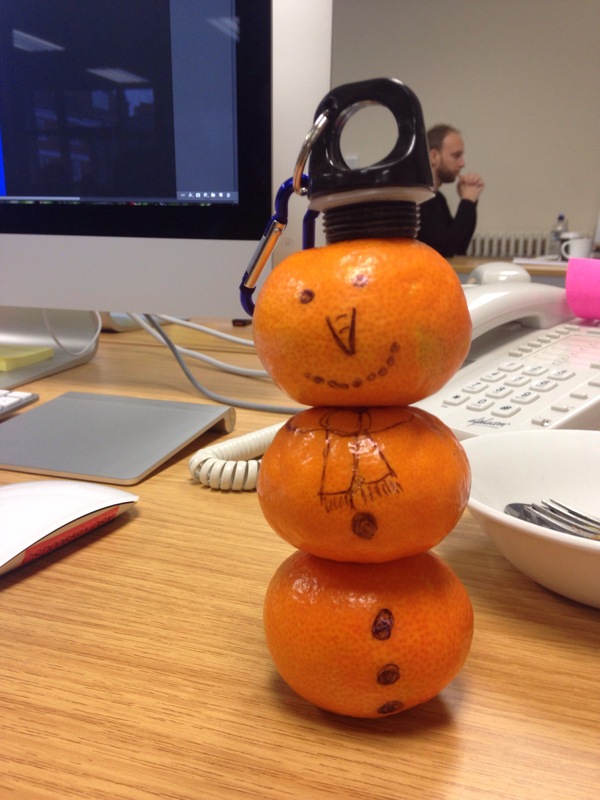 Oh wait, I didn’t take any photos apart from one of a Clementine snowman at work.. ’tis the season and all!